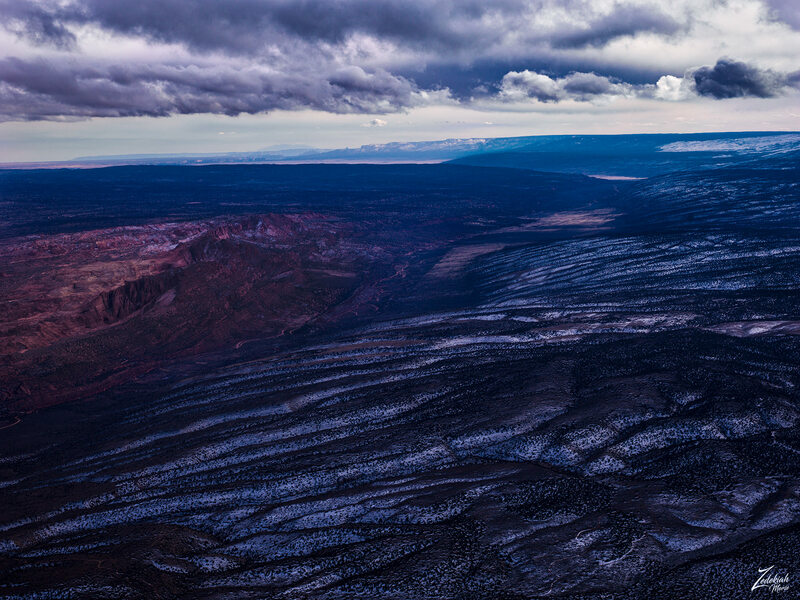 Flying on the southern edge of the Kaibab Plateau, directly above Pine Hollow Canyon, the above image is looking south through Coyote Valley. On the left, the reddish purple formation is the wondrous Coyote Buttes, In the distance lays House Rock Valley and the beginnings of the Grand Canyon. 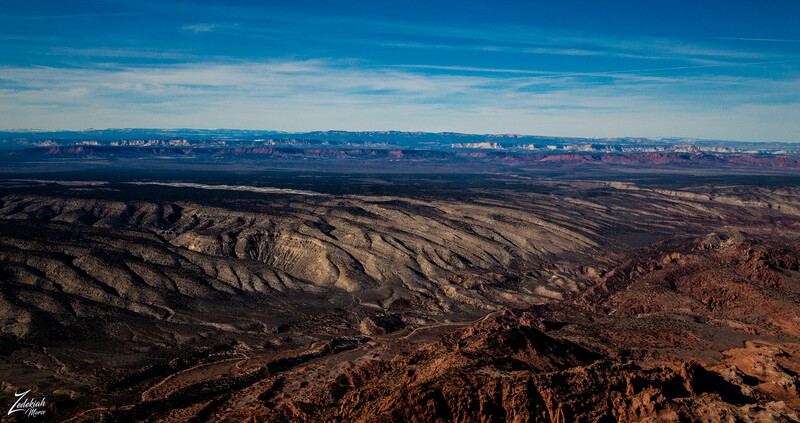 The image below is from directly above Coyote Buttes, located in the foreground bottom of the image and looking north towards the Vermilion Cliffs and White Cliffs of Escalante Grand Staircase in the distance across the valley and the pink cliffs of Bryce Canyon National Park on the horizon.